Silent Way, Other Virtual Synth from Expert Sleepers. Product replaced by the Expert Sleepers Silent Way 2. 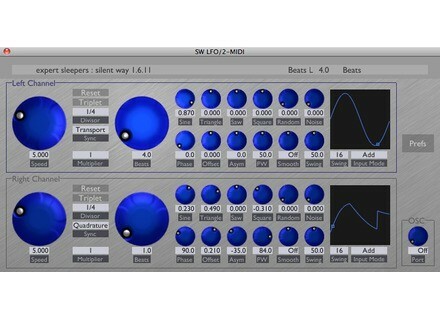 Expert Sleepers has updated Silent Way to version 1.6.5, adding a new plug-in to the collection: Silent Way SMUX. Silent Way SMUX is designed to provide a hack to workaround the reduction in channel count over ADAT connections when running the audio system at 88.1/96kHz. When using an audio interface to produce your CVs that is connected via ADAT (for example, the Expert Sleepers ES-3 Lightpipe/CV Interface), and when the audio system is being run at a 'double speed' rate (typically 96kHz), the number of audio channels that can be sent down the ADAT connection is reduced from the usual 8 down to 4, the company says. The 4 double-speed channels are multiplexed onto the 8 ADAT channels - this system is usually referred to as 'S/MUX', or sample multiplexing. 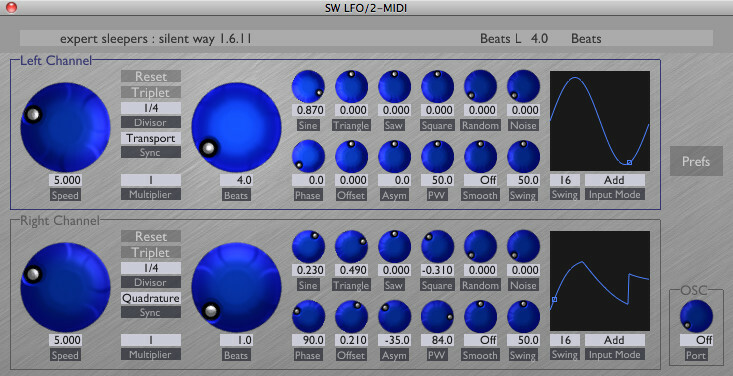 Ddmf NYCompressor v2.0 DDMF has released an update of NYCompressor to version 2.0. PropellerHead Reason Record Education Propellerhead released Reason Record Education for sale—new packages consolidating the Reason Record application suite at a special price for schools and institutions. Voxengo Voxformer 2.5 The Voxengo Voxformer version 2.5 update is now available for download.